June seems to be the month that is a crap shoot as to whether we can race or not. Twice this month we have found ourselves sitting under an umbrella or under the hatchback of a truck waiting for the wind to usher away the persistent rain. 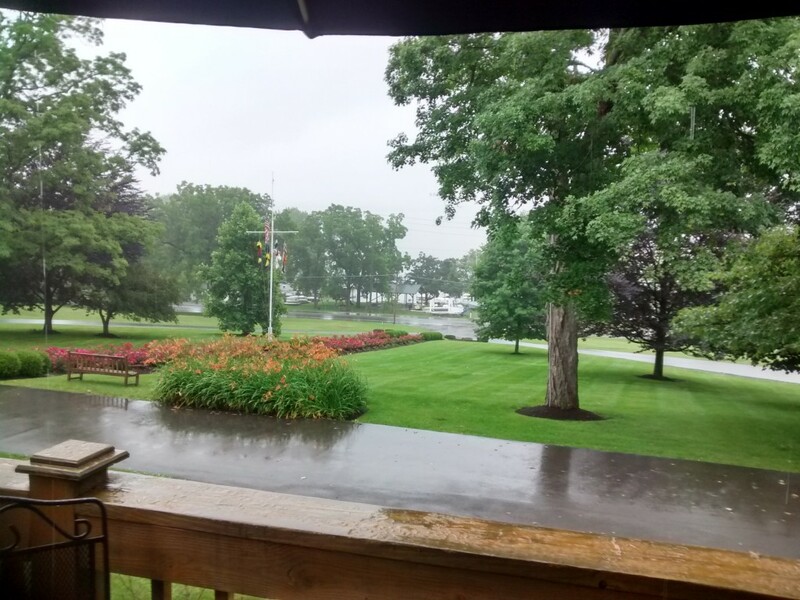 Eight racers showed up yesterday in hopes of wind, but after a one hour postponement (held at the club bar) it was obvious that the weather was not going to improve. Racing was cancelled and dinner was ordered. We have managed to get in 13 races over the two Sundays in June that we did have wind which was an improvement over last year. July things start getting a little hotter which helps bring that late day runoff of wind that lasts till the sun goes down. There is no racing the 4th of July weekend so that most of us can play longer with our bigger boats, but then we will race the next four Sundays to complete our Summer Series on August 2nd. Saturday August 1st the RC Fleet is having its 5th annual Squaw Island Regatta and cookout. Notice of race and sailing instructions can be found on our web site blog at www.rcsailors.com . We welcome anyone who has a powerboat or jet ski to join us by being a chauffer for one of our racers. If you are interested please contact me (Nelson Habecker at 585-201-0514) to pair you up.